The cause of the UK’s high-profile Buncefield oil storage depot explosion in 2005? Overflow during remote filling of a storage tank. Disasters like this led to process industries adopting strict safety and environmental regulations, which you are likely quite familiar with. But some problems in the life of a plant manager aren’t always severe enough to reach international news headlines. However, even overfilling a tank with a fairly benign material can cause major headaches for a company. Say you manage a processing plant. In your fuel storage tanks, you typically have anywhere from 1,000 to 1,500 liters of fuel. Your delivery has arrived, and as operators are filling one of the tanks, your continuous level device provides a false level reading — leading to overfilling and a spill. Suddenly you have 20 liters of fuel per second overflowing the tank. Operators rush to shut off filling, but with that much liquid escaping that quickly, you now have a big problem. What kind of costs are you now facing? Loss of product: with liters and liters of fuel per second spilling from your tank, how many seconds does it take operators to stop filling? How much is each liter of fuel worth? Cleanup costs: one company that experienced a similar spill estimated business and environmental cleanup costs at nearly 50,000 dollars — how does that fit into your annual budget? Regulatory agency fine: depending on the severity of the spill, these penalties can start at 10,000-15,000 dollars, not to mention the business interruption costs while authorities investigate the accident. Add these up and you’re looking at tens of thousands of dollars for this one incident — as well as the negative publicity and decreased public trust after this accident reaches the local news. What’s more, this was just a smaller spill where no one was injured. Can you imagine the ramifications if this happened with a hazardous or corrosive chemical or if workers were unable to get out of the way? Had you outfitted your storage tanks with point level backup in the form of an RF capacitance switch or vibratory fork, once the material reached your high-level alarming point, the switch would have immediately sent a signal to your control system and local indicator and the filling would have stopped. Although many plant managers see point level instrumentation as optional or auxiliary devices, in reality, these switches are inexpensive tools that save your money and can protect worker and environmental safety. 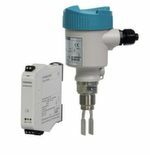 In applications where point level instruments are used for backup high- or low-level alarming, your reliable continuous level instrumentation likely means that point level devices are rarely called upon. That being said, you do need to ensure that these safety systems always work if something goes wrong. But how much time would it take to send an operator to each and every device in your plant? A large tank farm could have hundreds of high- and low-level switches — testing each one to ensure ongoing reliability is quite the time commitment and a safety concern to the operator doing the testing. With remote testing, however, operators no longer need to directly access the device to check that it is functioning properly. 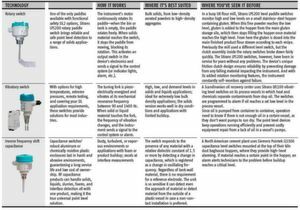 From a convenient location via local push button testing — via a single- or two-channel remote test signal conditioner — or from the comfort of the control room, for example, you can check that your Sitrans LVL200 vibrating fork is working well. Returning to the Buncefield disaster, the high-level switch at the root of the problem had been installed for overfilling prevention but was unintentionally left deactivated after a previous test. With proper procedures, this could have been avoided: an integrated control system or remote testing with Sitrans SCSC — a remote signal conditioner for testing the vibrating fork at ground level with a simple push button functional test — would catch a deactivated instrument. Sitrans LVL200 is able to continuously monitor its status through vibratory monitoring and will provide an indication should the unit detect excessive corrosion or other malfunction of the device. Keeping an eye on its own performance and alerting your control system, this device will detect emerging conditions before reliability is affected. Pointek CLS capacitance level switch also does this but even more effectively: digital versions of the switch provide Profibus communications advanced diagnostics, remote configuration, and remote testing directly from the control room. 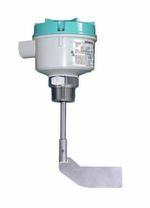 And Sitrans LPS has a continuous rotation monitoring solution that ensures reliability of the paddle switch, as motor rotation is monitored through a magnetic pulse sensor. Ideally, you can find all these instruments from a single supplier. Siemens provides end-to-end automation solutions — sensors and analytics to control systems and beyond — with safety integrated into all aspects of your applications. But my level instruments haven’t malfunctioned before — and my operators are always watching closely while filling, so what are the chances of this happening in my plant? Of course, we all hope that spills are not an everyday occurrence. By adding point level instruments to your processes, though, it’s not only accident prevention that you gain. Manual measurements — operators climbing tanks — put your staff in the application environment, increasing the risk of an accident and ­exposes them to the potential hazardous fumes from the open vessels. For high- or low-level detection, interface, or dry run protection — point level switches will reduce your maintenance, downtime, and equipment replacement costs. But how to choose the correct technology for your application? The table takes a look. 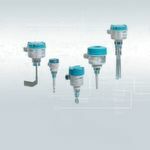 Plant managers around the globe have discovered the true benefits of Siemens point level, realizing that these inexpensive devices are critical for your plant’s safe operation. Integrating into your plant’s control system and digital initiatives, these instruments give you critical field data when and where it is needed. Not to mention that when it comes to the safety of your workers and equipment, even one not-so-disastrous spill so vastly outweighs the cost of purchasing and installing these devices that you simply cannot afford not to have them working for you across your plant. With options as simple or sophisticated as you need them to be, point level devices are your answer for cost-effective demand level, dry run protection, and critical safety backup applications. * The author is Global Product Manager at Siemens Industry, Peterborough, Ontario/Canada.